Laser surgery is very safe and effective. But in some patients there could be side effects. Flap complications: Sometimes the anterior corneal flap that is made in LASIK may not be complete (called incomplete flap) if the keratome stops mid-way because of suction loss. In this situation the flap is repositioned and ablation is deferred. The surgery is re-attempted after three months. In rare instances, the flap may tear or become detached (called free flap). in this situation your surgeon will decide on table whether to go ahead or defer the surgery. The detached flap can repositioned with a very fine suture. Dry eye : Dryness in the eyes will persist for 6 months and patients will have to use artificial tear substitute during this period. The symptoms are mainly foreign body sensation , burning sensation and fluctuating vision. Diffuse lamellar keratitis (or DLK) – an inflammatory process that involves an accumulation of white blood cells at the interface between the LASIK corneal flap and the underlying stroma. It is known colloquially as "sands of Sahara syndrome" because on slit lamp exam, the inflammatory infiltrate appears similar to waves of sand. It is most commonly treated with steroid eye drops. Sometimes it is necessary for the eye surgeon to lift the flap and manually remove the accumulated cells. Undercorrection/overcorrection: Under correction may sometimes be planned intentionally or may occur as an unintentional effect. As a result, the eye remains short sighted even after the surgery. If the degree of residual myopia is significant, the eye may be retreated at a later date. Overcorrection can occur very rarely. 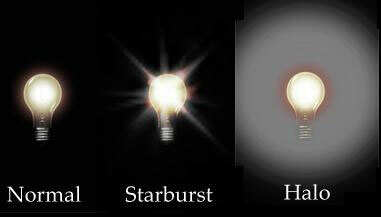 Glare/halo/ starburst effect: You may feel some sensitivity to light at night or in bright sunlight. Sometimes in dim light, you may see a faded ghost image around the sharp bright image. This will pass after the first few days or weeks. In rare circumstances this may remain on long term. Decrease in contrast sensitivity: Some people find that their night time vision has become a bit dull. This happens because of a decrease in their ability to discriminate between different contrast levels. Corneal ecstasia is a very complication of laser correction procedure. It can occur if the corneal thickness is less to begin with, or if the cornea is thinned more than it can withstand with the lasers. Therefore, persons having inadequate corneal thickness are not suitable candidates for LASIK. 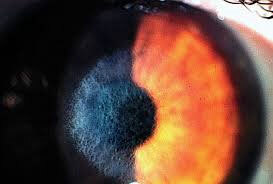 Other complications: Serious complications like corneal infections though possible, are extremely rare.